Prime Minister Alexis Tsipras on Sunday rejected claims that the government was coerced by foreign countries into a deal with the Former Yugoslav Republic of Macedonia (FYROM) over the country’s name. “Nobody badgered us about this issue, nobody pressured us. We seized the opportunity offered by the political change in the neighboring country,” he told a press conference in Thessaloniki. He said when the progressive government of Prime Minister Zoran Zaev took power in FYROM, a window of opportunity opened and the two sides started talks. “Whether this solution pleases other international players is a different issue,” he added. Asked by Kathimerini to comment on a statement by US Assistant Secretary of State for European and Eurasian Affairs Wess Mitchell in August that American diplomacy played ‘a lead role’ in resolving the Greece-FYROM name dispute, Tsipras reiterated the government was not pressured by anyone. 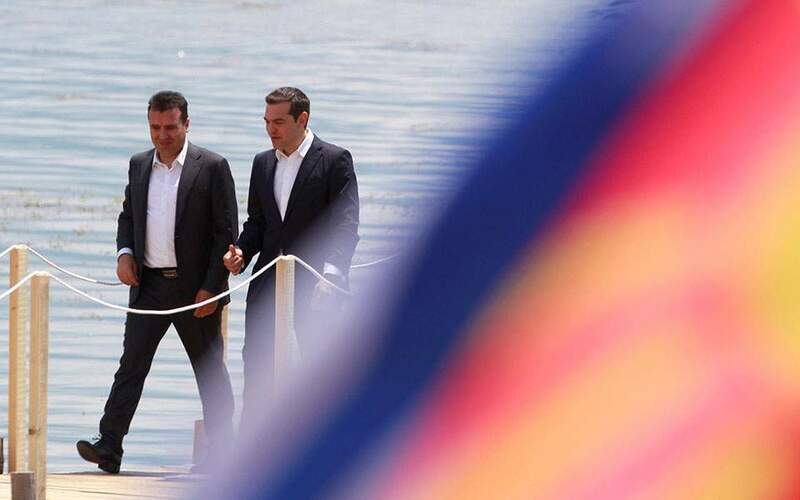 “Greece is a sovereign country in the core of the European Union and we don’t accept suggestions from anyone. It was us who took this initiative,” he said.